Colorful illustrated characters serve as friendly guides in this exploration of what life is like for someone who uses a wheelchair. 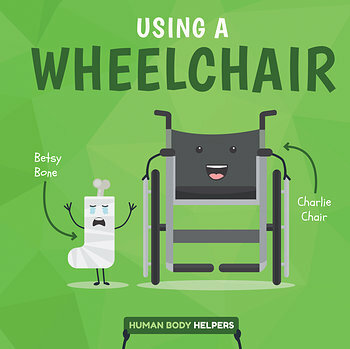 The age-appropriate text encourages readers to develop empathy for people with disabilities and people who have been injured and need the use of a wheelchair. The text also serves as an important resource for young people who use a wheelchair and want to understand more about how the device works. Educational fact boxes and a detailed glossary of important terms provide additional understanding to help young learners grasp the science and technology behind this topic.